Speed drugs are stimulant drugs, and they’re highly addictive drugs. When discussing speed, we’re talking about amphetamines, like Benzedrine, Dexedrine, Methamphetamines, Ritalin etc. And although we know that they’re addictive, we’re attracted to them because they make us feel alert. Taking speed gives us a burst of energy. Stimulant drugs reduce appetite, benefiting those who want to lose weight. Until we understood that these were addictive drugs, doctors readily prescribed stimulants for weight loss. These drugs also reduce your need for sleep, so if you have to study, work late or want to go out and party – these would also be the drugs to take. If you have an addictive personality you're more likely to develop and addiction than others. Stimulant drugs speed up the central nervous system and that’s the reason that these drugs are called ‘speed’. They increase the heart rate, blood pressure, enlarge your pupils and with larger doses, you become angry, violent and paranoid. Sweating, fever, headaches, blurred vision, dizziness, chest pain, nausea, vomiting and diarrhea are side-effects of these drugs. Effects can last from 6 to 8 hrs if injected or taken orally and 10 – 12 hrs if smoked. 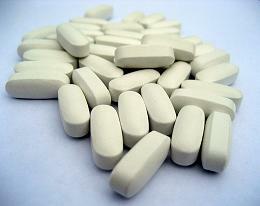 Drugs such as Ritalin and Dexedrine are used for certain medical conditions. These drugs should be taken under the direction of a medical professional who would be monitoring for tolerance and overdose. Need information on treatments available to you? If you’ve completed rehab and need after-care Recovery Coaching or a consultation may be exactly what you need. Coaching is not counseling or therapy. It's like being on a team - you and the coach. This is a very effective way to stay on track or get you back on track if you've had problems.